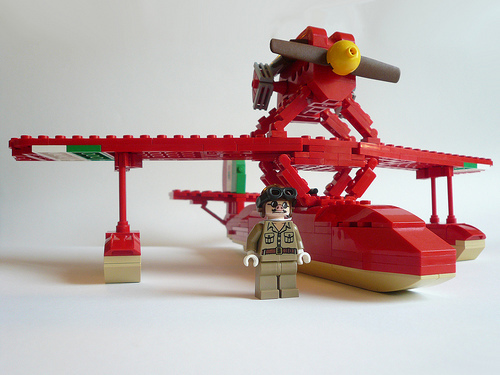 Jon Hall (jonhall18) has built a great Savoia S.21 seaplane, but the centerpiece of this LEGO creation for me is the custom minifig of Porco Rosso himself. Thanks for the link, Horace! Love it! Porco Rosso is one of Miyazaki’s more under-rated movies. It’s good to see others appreciate it as well! Bravo & Huzzah for Porco Rosso! And a Domo Arrigatou, to Jon Hall for coming up with this one!